This is where we were staying, a lovely village a little way inland. It has a fascinating church that is worth exploring, a small shop selling all the essentials and two pubs to choose from. There is The Rock Inn and The Kings Arms. We only had time to sample one of the pubs so we can confirm The Kings Arms is lovely with friendly staff, good beer and tasty food, we’ll have to return to sample The Rock Inn. 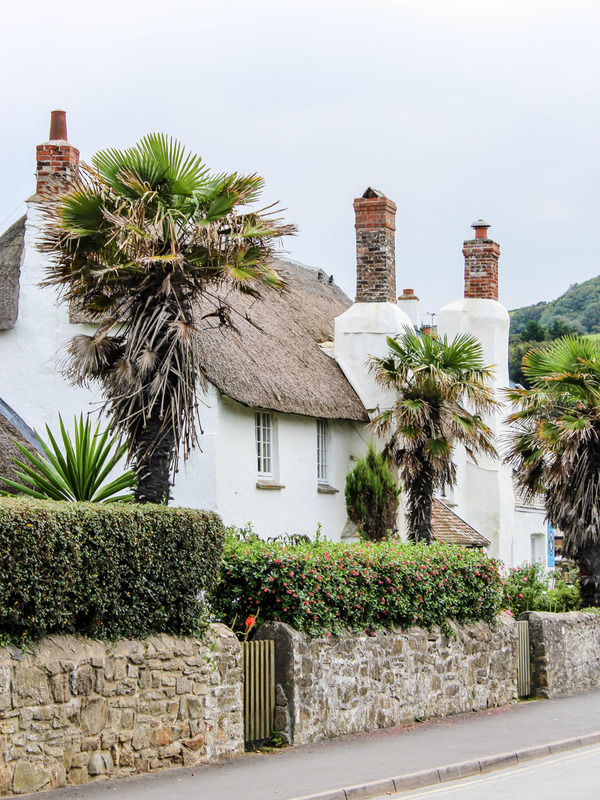 A couple of miles from Georgeham is the pretty coastal village of Croyde. 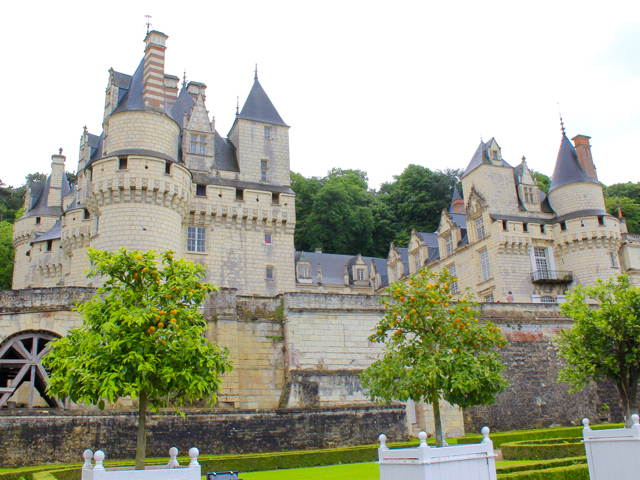 The Village has a charming centre full of historic buildings and is perfect for wandering. Croyde has a wide and sandy beach, nestled between two headlands. The beach is very popular and one of the best for surfing. We had lunch at the Blue Groove, a family friendly restaurant and bar in the centre of the village. Be sure to pop into The Stores, a pretty cool coffee shop and deli. And get Ice-cream from one of the ice cream parlours in the village. 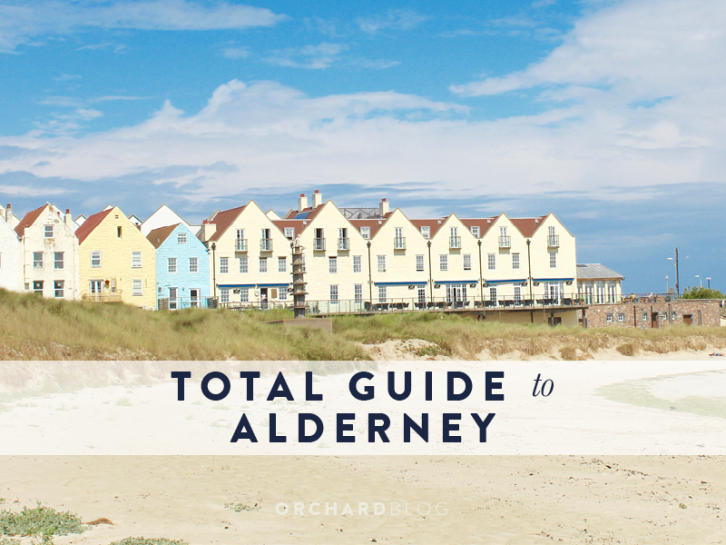 Rich’s family have been visiting the channel island of Alderney for decades and have many friends on the island. 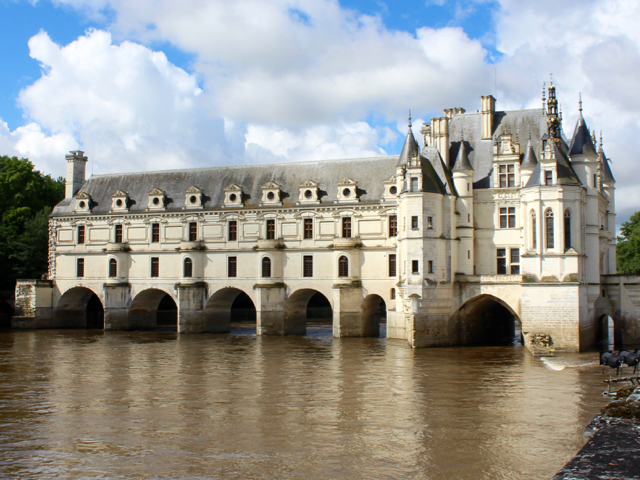 Rich’s first visit was when he was just six weeks old, returning annually until he was a teenager and sporadically heading back there ever since. 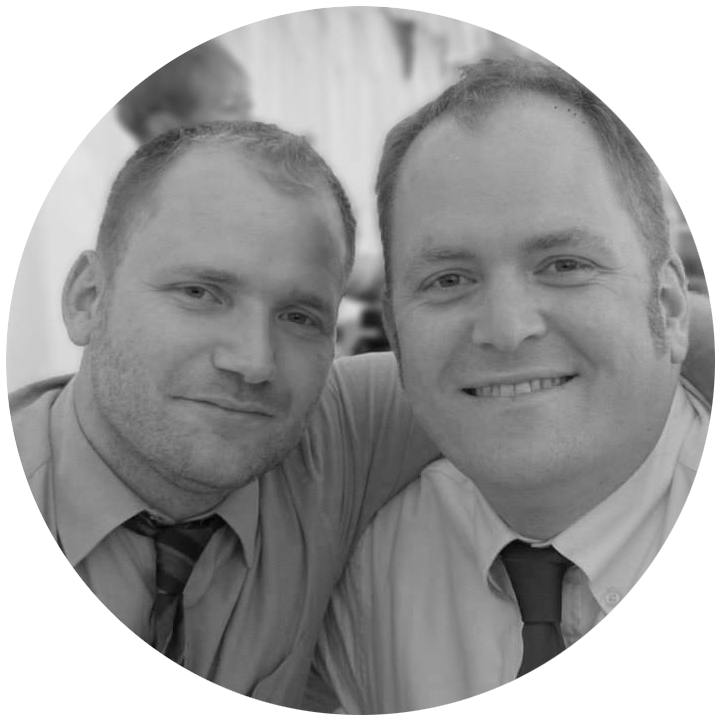 Alderney was Calum & Rich’s first holiday together and we are planning on heading back for our third joint visit to the island soon. This is our guide to the island we hope you find it helpful! 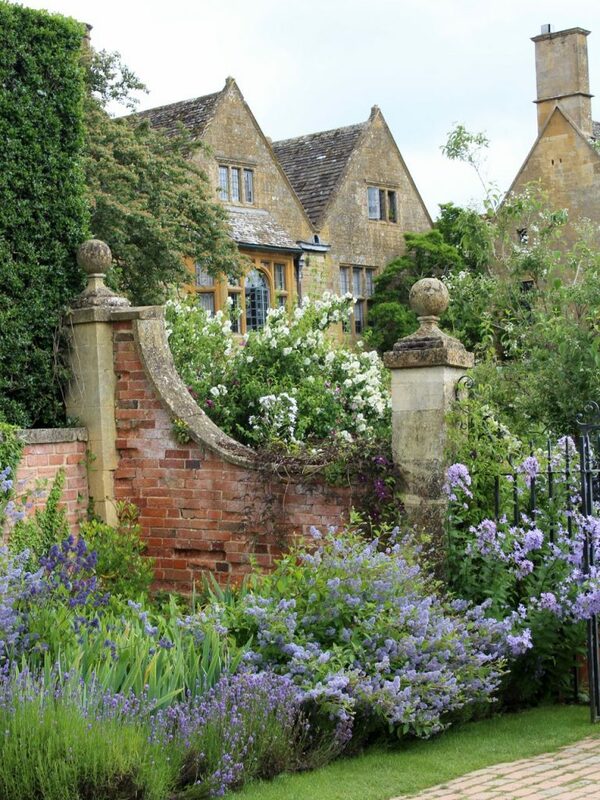 There can’t be a much more quintessentially english garden than Hidcote Manor Garden in the Cotswolds? 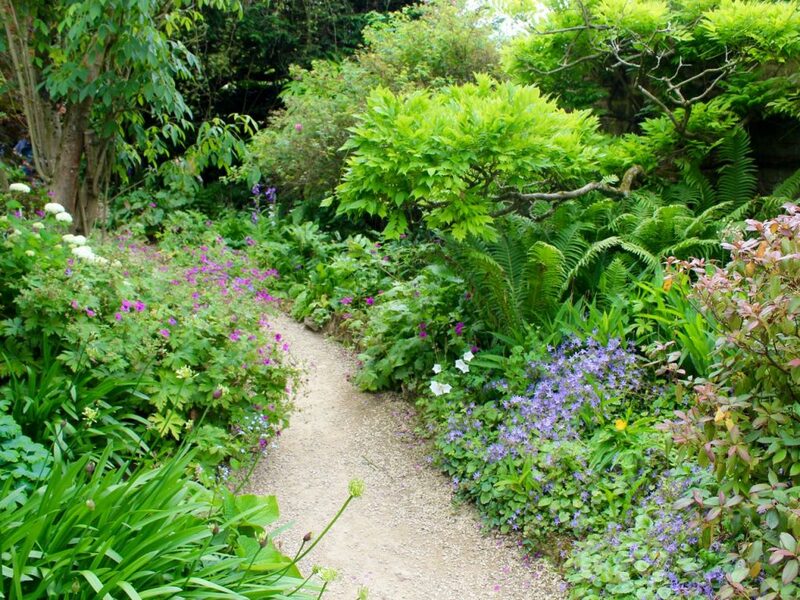 And is so often the way it took an outsider to distill the essence of English garden design, the garden was created in the early 20th Century by the American Major Lawrence Johnston. Johnston was an anglophile and moved to Britain with his mother around 1900, he took British citizenship and joined the British army, fighting in the Boer war and reaching the rank of Major. Johnston’s mother, Mrs. Winthrop purchased Hidcote Manor in 1907, and so started the process of creating the famous gardens. 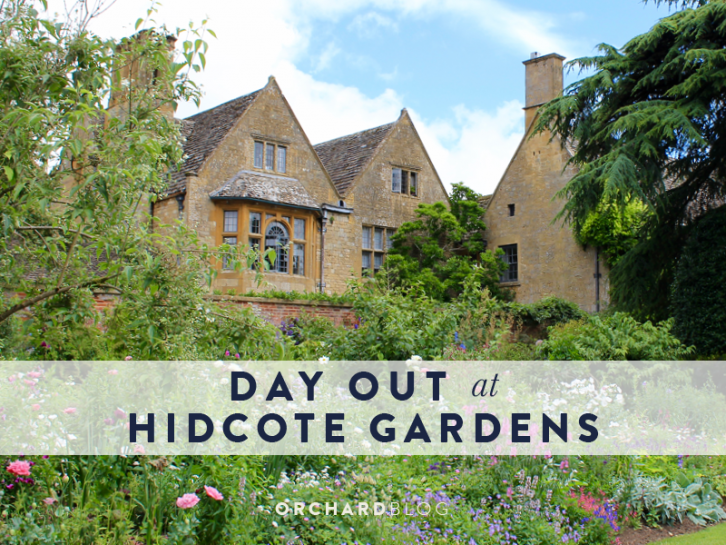 Located in the north of the Cotswolds, not far from Chipping Campden, Hidcote Manor Garden is a perfect example of Arts and Crafts garden design. Johnston was inspired by the gardens of Gertrude Jekyll. The garden is designed around a succession of garden rooms, it mixes a formal layout with romantic planting that are characteristic of this of this style of garden (see also Sissinghurst Gardens). Some of the garden rooms include a white garden, a maple garden, the red borders and the pillar garden. 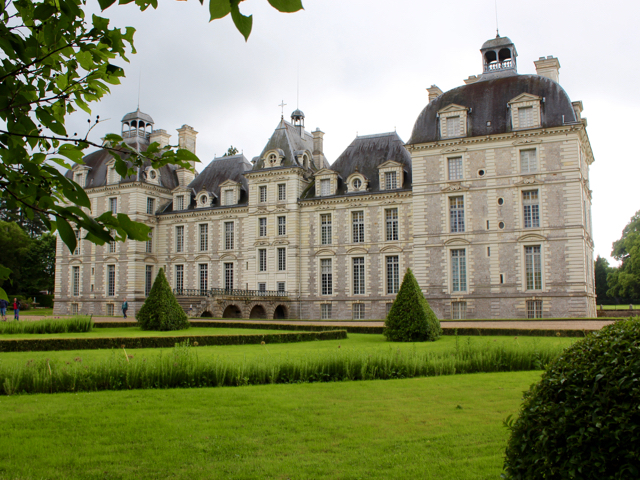 There are plenty more to explore including an excellent kitchen garden, a rose walk and a peaceful wilderness. Johnston was a keen plant hunter, traversing the world to bring back the perfect plants for Hidcote. 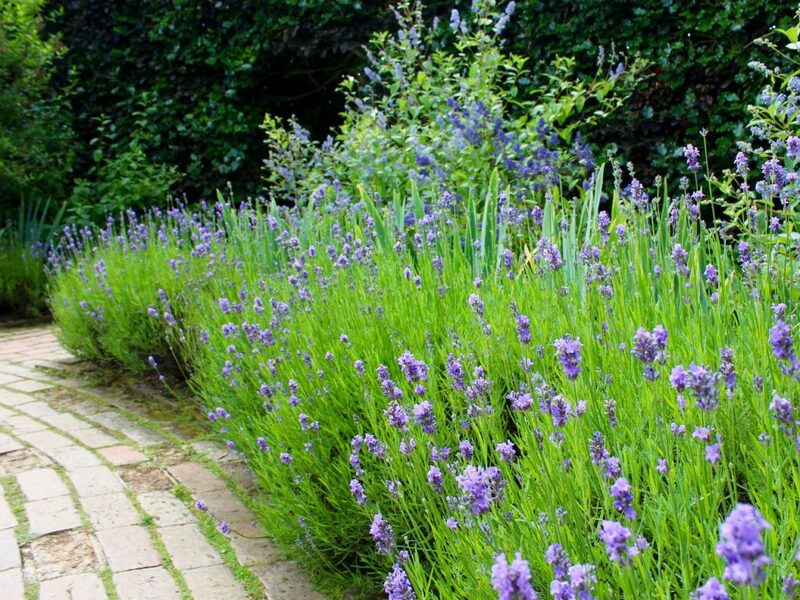 Many plants have been named in Hidcote Manor Garden and Johnston’s honour, the most famous of which probably being Lavandula angustifolia ‘Hidcote’ and Penstemon ‘Hidcote Pink’. Although the garden can get very busy the garden room structure means the garden doesn’t feel overwhelmed. 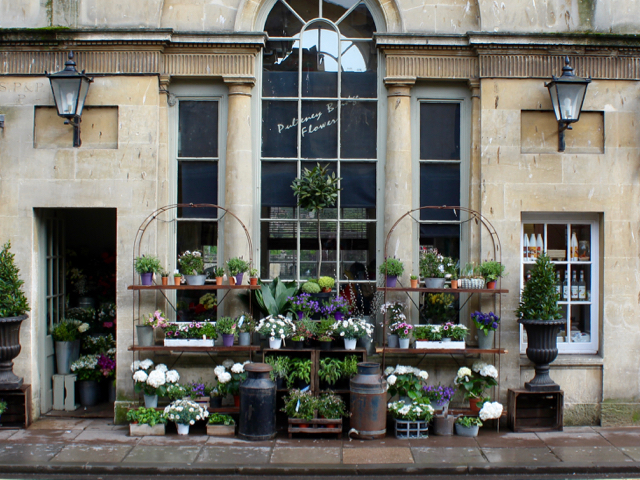 As with many National Trust properties they have an excellent cafe and a lovely little shop (we love a little shop!) Also be sure to visit their plant centre to bring back a piece of Hidcote Manor Garden for your own patch at home. 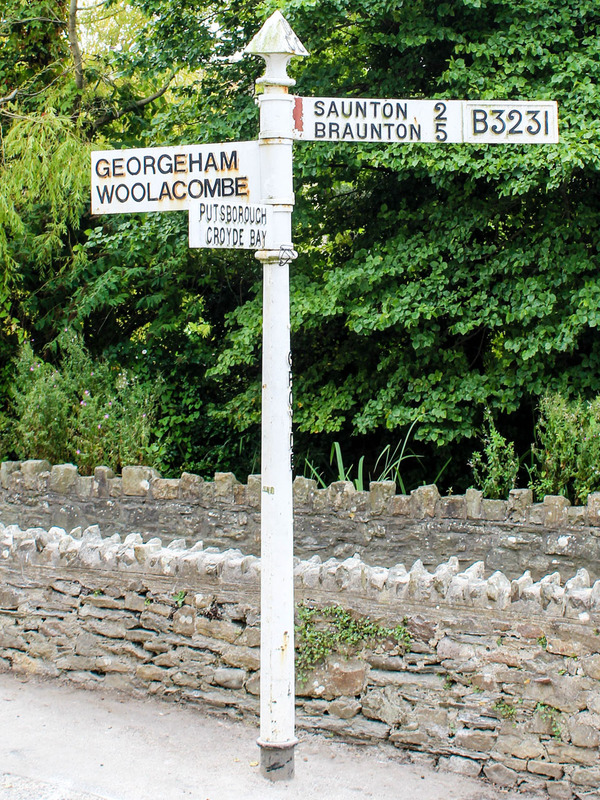 We thoroughly enjoyed our visit to the garden on a beautiful summer’s day, we love the Cotswolds in general and it is great to visit such an important and inspirational english garden. Find out more at the National Trust Website. We have recently returned from a few days visiting Calum’s goddaughter and her family up in North Yorkshire. 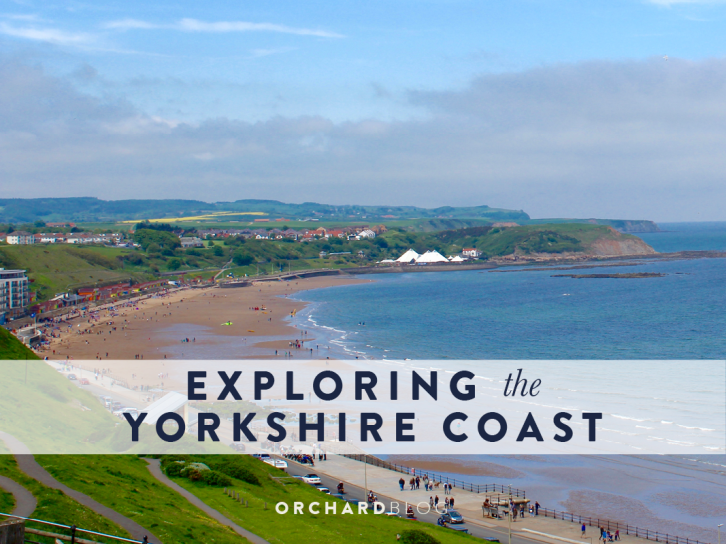 They live just outside Scarborough, and it makes a great base for exploring the Stunning Yorkshire Coast. This is what we got up to. 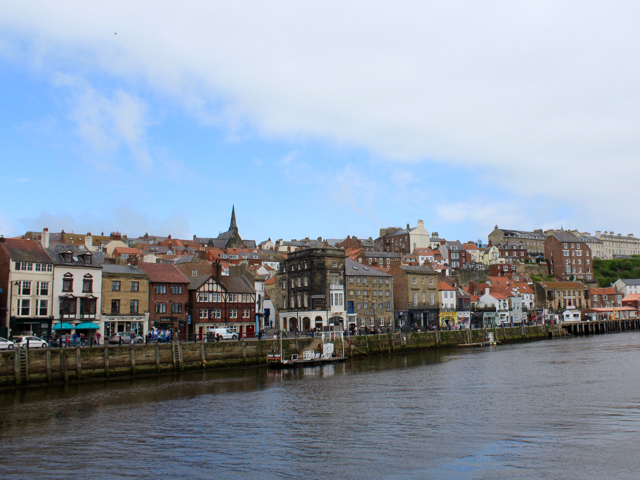 Whitby is a lovely old fishing town, famous for its black jet, it’s ruined abbey and it’s goth scene. The town is split in two by the river Esk, the older town being on the east bank and the new part on the west bank. Both sides are full of independents shops, cafes and pubs making the town a perfect place to while away a couple of hours. Historically, the town is proud of being the birth place of Captain Cook. You can visit the memorial, go to the Captain Cook Museum or go on a boat trip around the harbour and along the coast on the Bark Endeavour, a replica of the HMS Endeavour at 40% Size. The North Yorkshire Moors Railway starts in Whitby. The Steam trains take you on an 18-mile heritage route that goes into the Yorkshire Moors National Park ending at Pickering. More recently, and given that Whitby is a harbour town, it is also famous for its fish and Chips. Our recommendation was for Magpies Cafe although we didn’t get to try it this trip, we will be shore the go next time, by all accounts it is a Whitby institution! Before we left we bought some local food and drink from Whitby Deli. We picked up some great Whitby Brewery beers, our favourite being the Abbey Blonde. 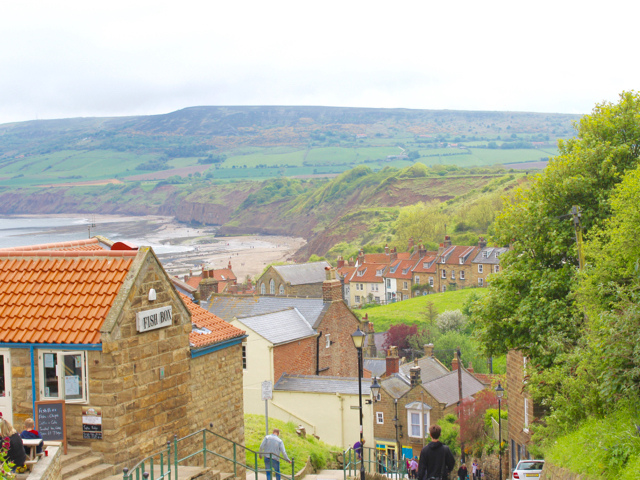 One of the most picturesque places on the Yorkshire Coast is Robin Hood Bay, an historic fishing (and smuggling) village located five miles south of Whitby. Robin Hood Bay’s main attraction it is large beach which is perfect for fossil hunting. 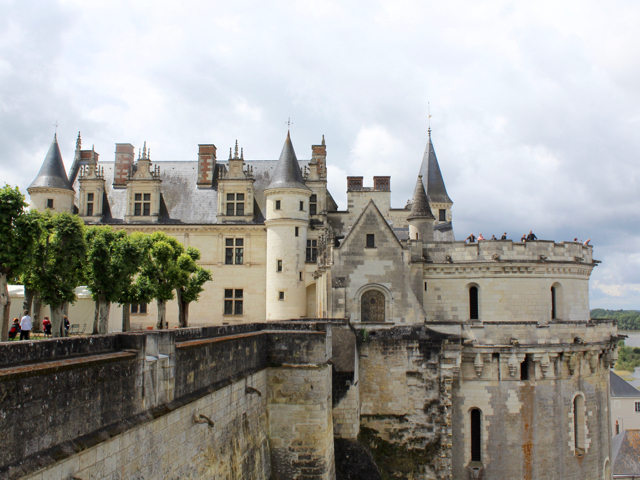 You need to park at the top of the town and wander down the steep lane to get there. On the way down you pass charming shops, cafes and pubs. 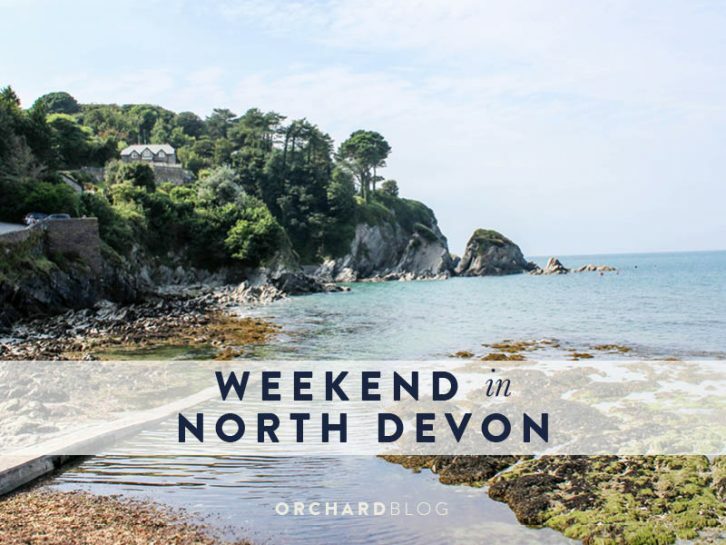 At the bottom you will find the Old Coastguard Station, a National Trust visitors centre to help you get a sense of the natural history of the area. There are a couple of welcoming looking pubs near the beach but we decided to have fish and chips form Mariondale Fisheries and sat overlooking the bay to enjoy them. 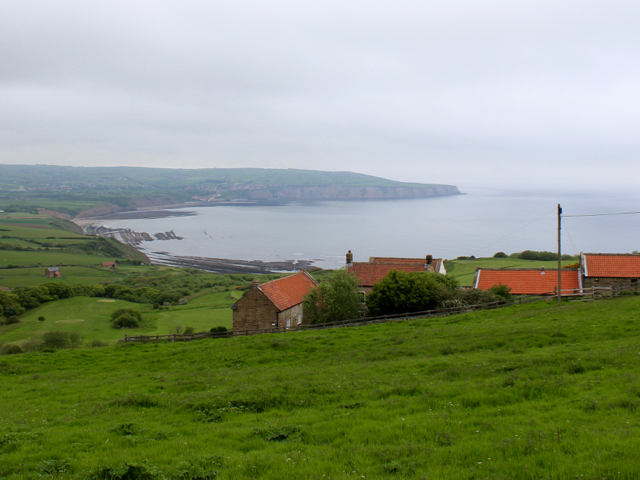 Ravenscar is a tiny village between Whitby and Scarborough has an interesting history dating back to Roman times. After popping into the National Trust visitor centre we headed on one of the self-guided walks. The views are stunning looking north back to Robin Hood Bay but you’ll need to have had your Weetabix as the route is pretty steep! The Walk takes in the ruins of the Alum works. Alum was an important chemical in the production in of textiles, used for fixing dyes. 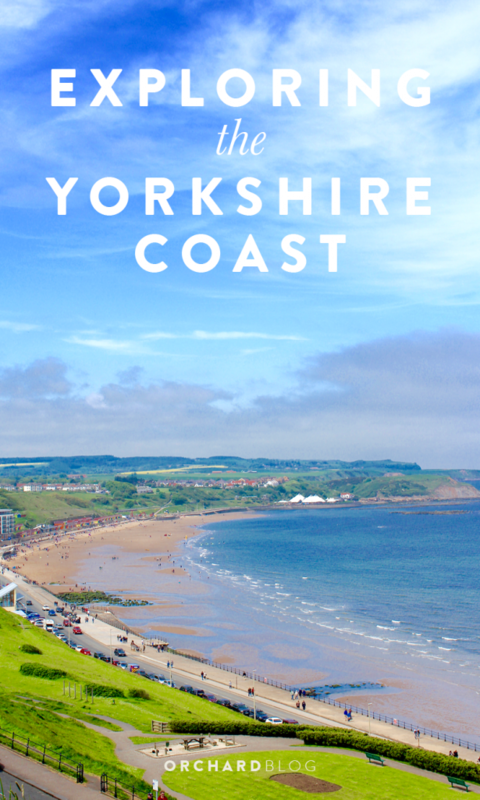 Between the 16th and the 19th centuries the Yorkshire Coast was key to the Alum industry. The ruined works at Ravenscar are well preserved and allows you to get a good idea how the process operated. Should you fancy you can actually rent a holiday cottage here, perfect if you are looking for a remote get away with spectacular coastal views. In the late 19th Century plans were drawn up to turn Ravenscar into a rival holiday resort to Scarborough. Roads and sewers were put in place in preparation of the growth of the town, but the developers went bust before the scheme could get off the ground. Ravenscar is also the the highest point on The Cinder Track, a cycle path between Scarborough and Whitby which sits on the route of a disuse railway. 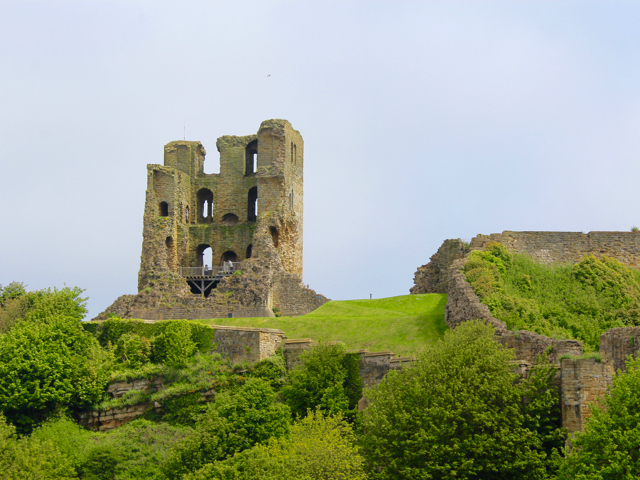 If you are looking for the quintessential seaside town Scarborough is the place to visit. 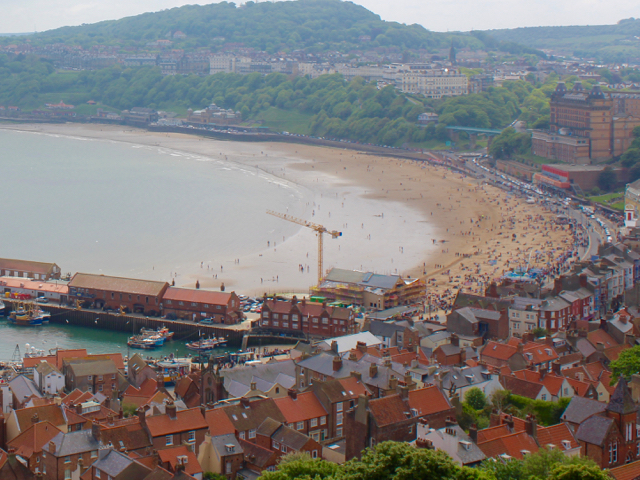 Claiming to be the country’s first seaside resort, Scarborough boasts everything you’d expect; arcades, donkey rides, fish & chips, plenty of places to eat and drink, and an relaxed seaside vibe. There are two main beaches in town: South Bay Beach is a sandy beach near the town centre and shelter by the headland. 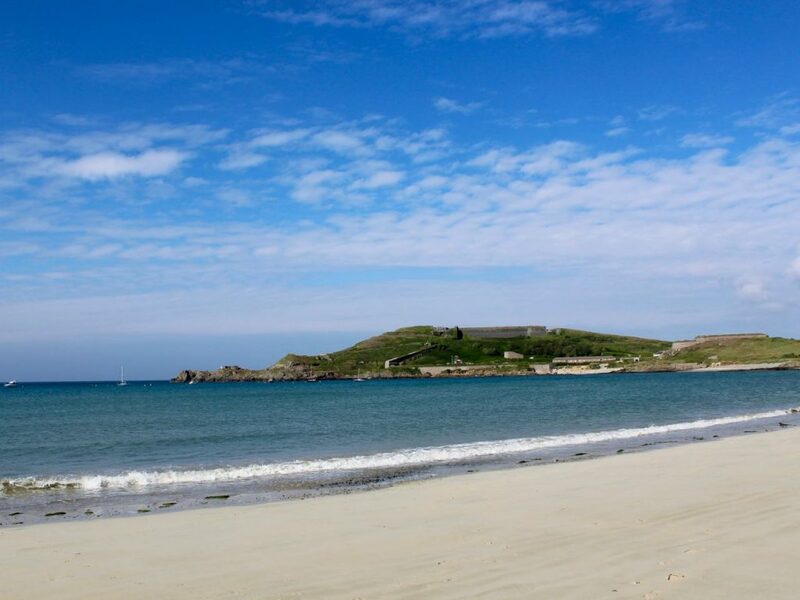 North Bay is quieter but it is also a blue flag beach, meaning it is one of the cleanest in Europe. We were lucky enough to have the use of one of the North Bay’s beach huts so we spent most of our time up here. On the headland between the beaches is Scarborough Castle. 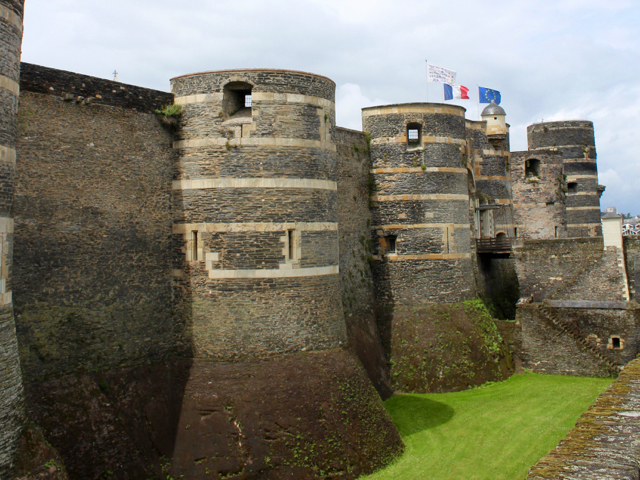 This medieval keep is in a commanding location, it would have been a spectacle to behold and easy to defend. 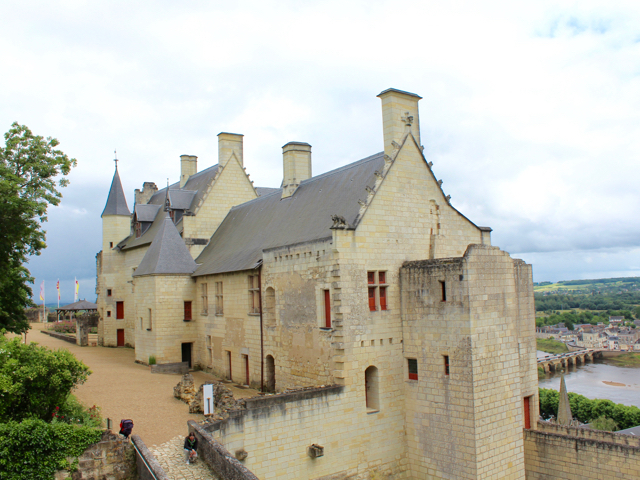 The castle is mostly ruined now, but it is great to walk around and learn about the 3000 year history of the site. 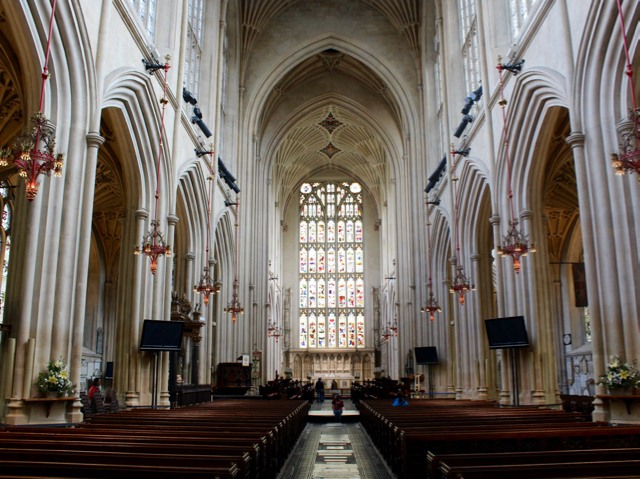 The City of bath is a UNESCO world Heritage site. 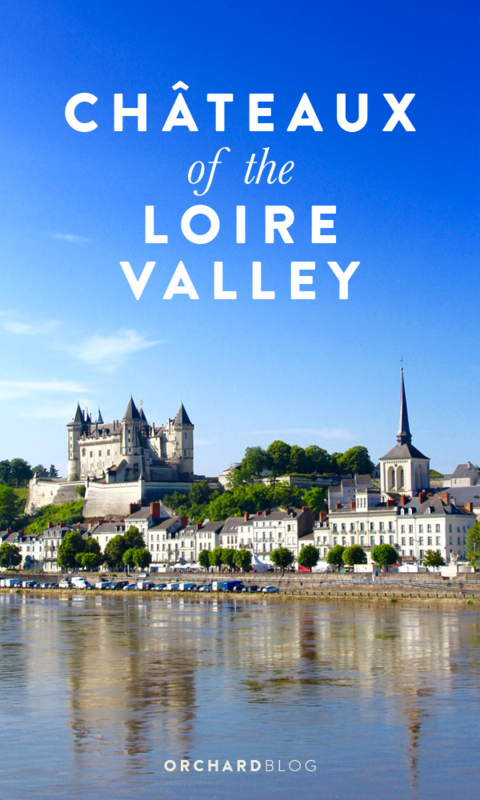 To get a sense of the city we downloaded the free audio guide and went on a walk around the sites. We really recommend this, it very interesting and helped us understand more about the history of what we were looking at. 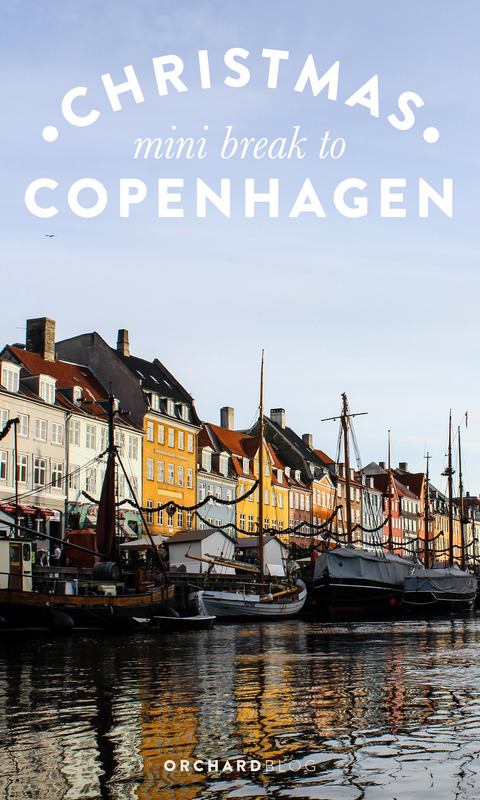 The tour takes about an hour, and you can stop off at many of the sites on the way round, or use it as a tool to get a sense of the city and then head back to your favourites later. They also have a Jane Austin themed audio guide if that is your thing? Download here. 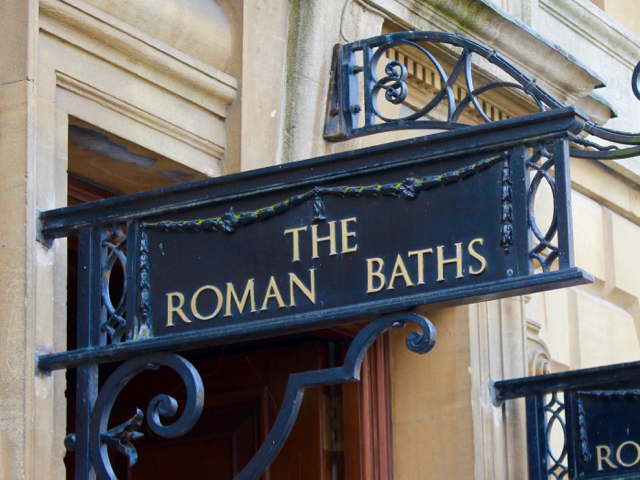 A trip to Bath wouldn’t be complete without a trip to the baths! 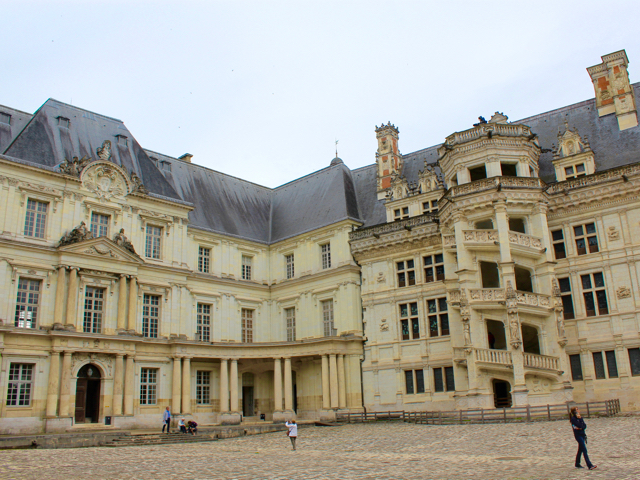 We headed here later in the day, after the crowds have dispersed, and it was very enjoyable. 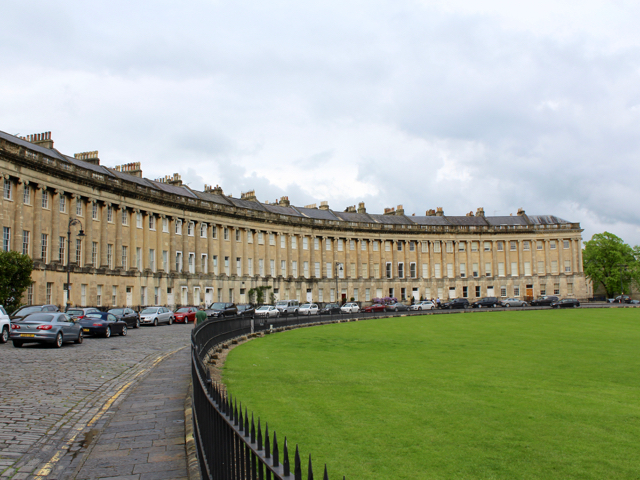 The main attraction is the great baths in the centre of the complex but the accompanying museum and audio guide really help you get a sense of the place Find out more. Built as an abbey church rather than a cathedral, but no less impressive. 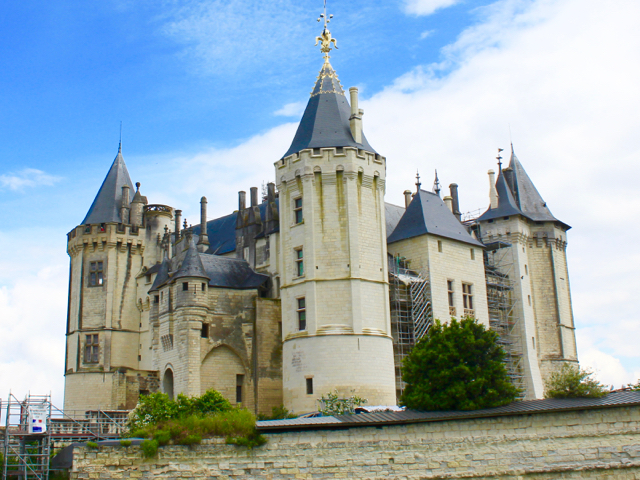 Most of what you see was constructed in the 16th Century in the perpendicular style, making it one of the last flourishes of the medieval gothic style. The Abbey bridges the gap between the Roman and the Georgian history of the city. Find out more. The jewels in the crown of the Georgian city, and for good reason! 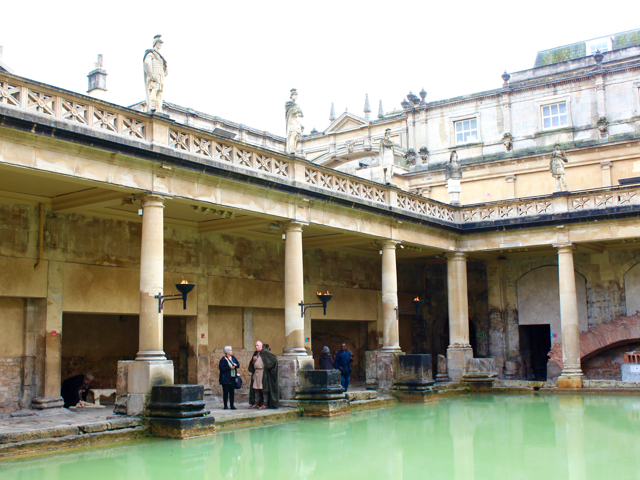 These two complexes were built for wealthy visitors to the city that came to take the waters at the baths. Well worth wandering up to. 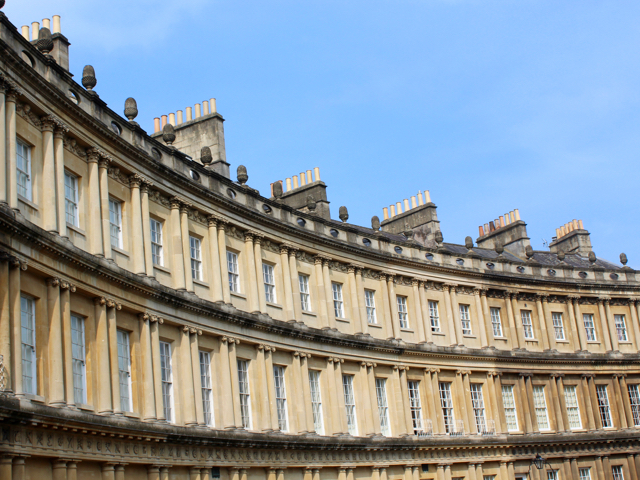 For a peek inside go to No1 Royal Crescent where they have decorated in a style from the late 18th century. Find out more. A short walk to the south of the City is Prior Park Landscape Gardens. You may wish to take the bus out there as it is uphill and there is no parking at the site. The gardens were developed for wealthy local businessman Ralph Allen in the 18th Century in the fashionable landscape style of the time. The gardens are situated in a sweeping valley, with views of the city beyond. 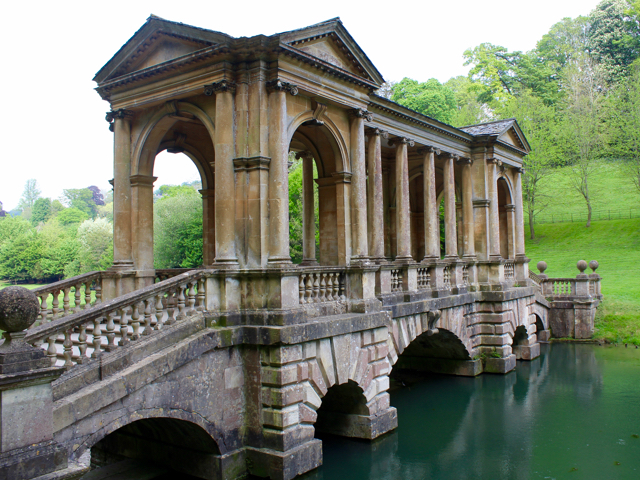 One of the highlights is the Palladian Bridge, which is one of only four remaining in the world. Find out more. 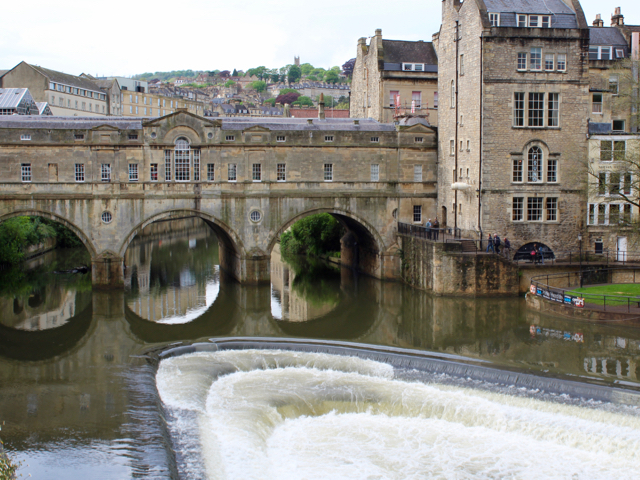 As we just had a couple of days in Bath we didn’t really get to explore as much of the bars and restaurants as we would have wanted. There is a huge range to choose from, here are our thoughts. A short walk from the centre, over the river is Burger & Barrels. A tiny place that serves the best burgers in the city (officially they won the Bath Food Award!) and has a good range of beers. Suited us down to the ground! So it turns out that the Boston Tea Party is an independent chain of cafes originally from Bristol and now with branches all over the west country. We went to their newly refurbished Alfred Street location for breakfast. Good atmosphere, good food, good start to the day! A small pub on Monmouth Street, The Griffin Inn has an excellent selection of craft beers, and very enthusiastic and knowledgeable staff. Well worth stopping off for a pint. A large craft beer pub with an excellent selection of beer including some they brew themselves. The Bath Brew House also has a brewery tour if that takes your fancy. 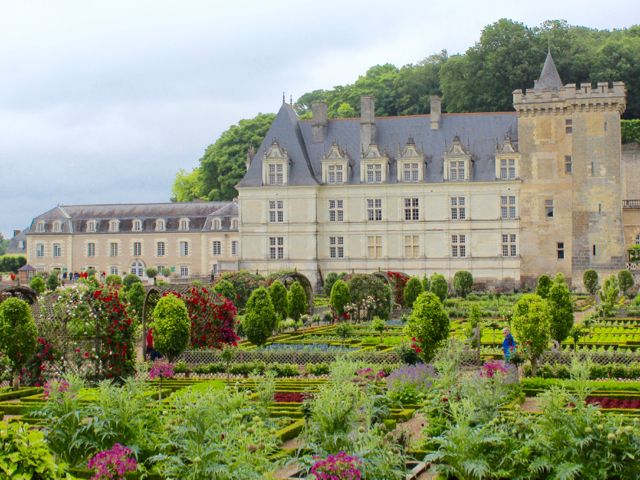 It also has a large garden if the weather is nice. Another chain that I had never heard of before (mainly because they don’t have any locations in the South East), Pierre Bistro is a light and airy French style bistro on George Street. Open from Breakfast to dinner, we headed here for lunch. The food was fantastic, as was the service; it was very good value for what you get! 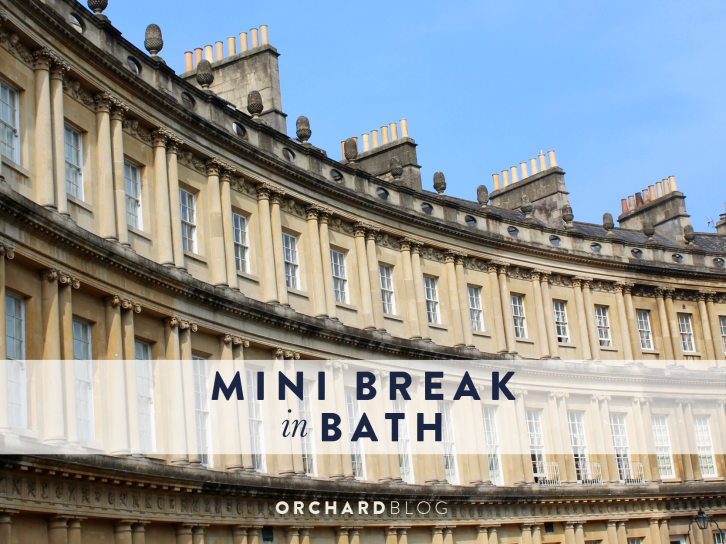 We didn’t really have enough time for shopping, but on wandering around the city it is clear that Bath has lots to offer. 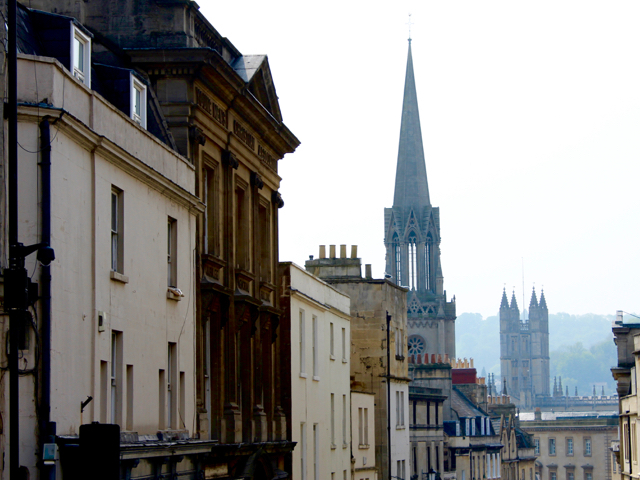 The High Street chains are clustered around Southgate, there are a good selection of high end interior shops on Milsom Street, and dozens of independent shops scattered around the place catering for every taste. Might have to head back here for our Christmas shopping! 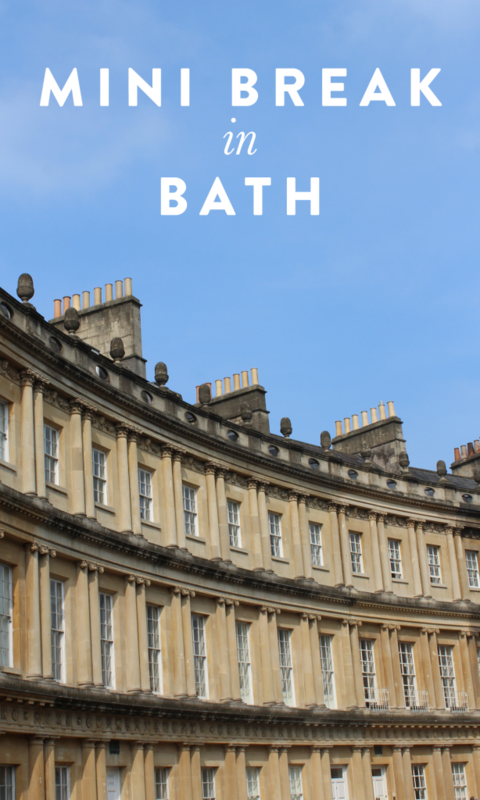 Have you been to Bath? What were your thoughts, do you have any tips? We’d love to hear them. 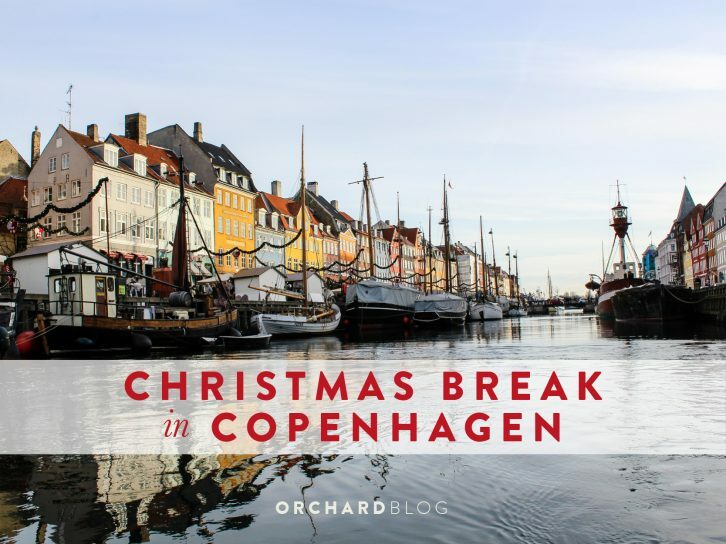 In 2015 for Richard’s Birthday we headed to Stockholm for a long weekend. We are both massive Nordiphiles and this trip just cemented our love for the north. 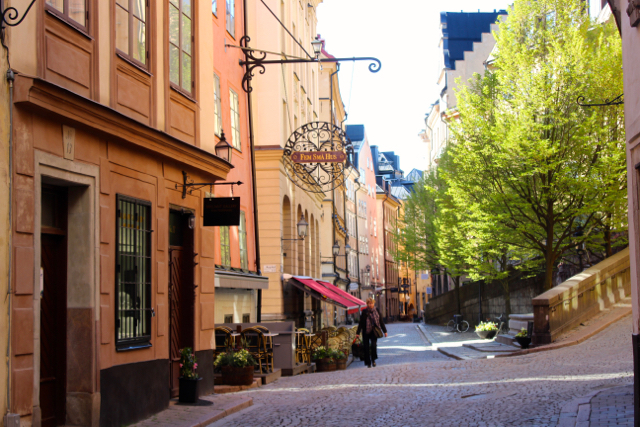 Stockholm manages to be charming and historic, but also exceptionally cool and fashionable. A winning combination that makes it a perfect destination to spend a long weekend. 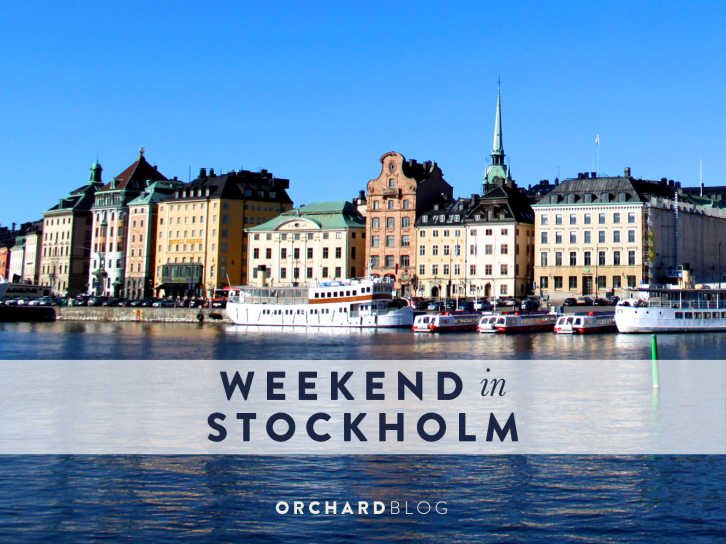 We stayed in the Östermalm district, close to some of the most upmarket shops and restaurants and only a short walk from Gamla Stan (the Old Town) and Djurgården. We had an amazing time, here are some of our highlights. Probably one of our Highlights or the trip! 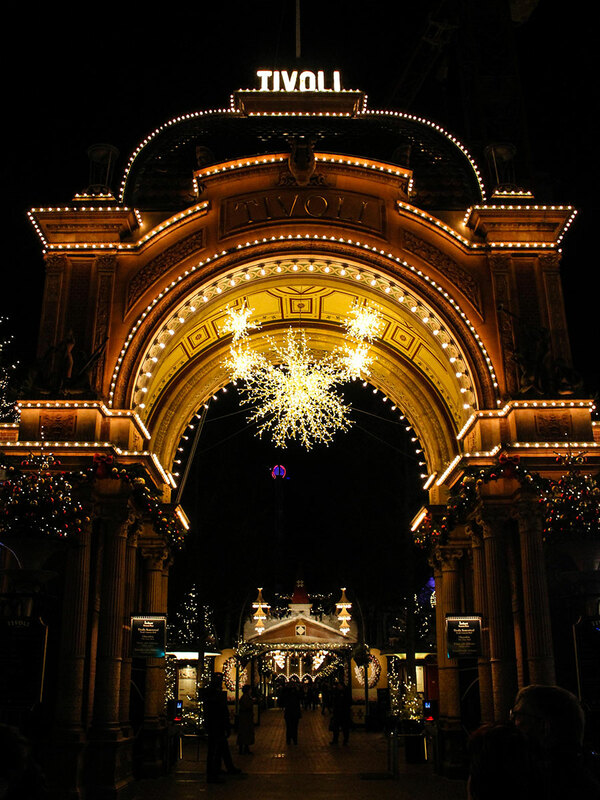 Situated on Djurgården, Skansen is part zoo, part outdoor museum. 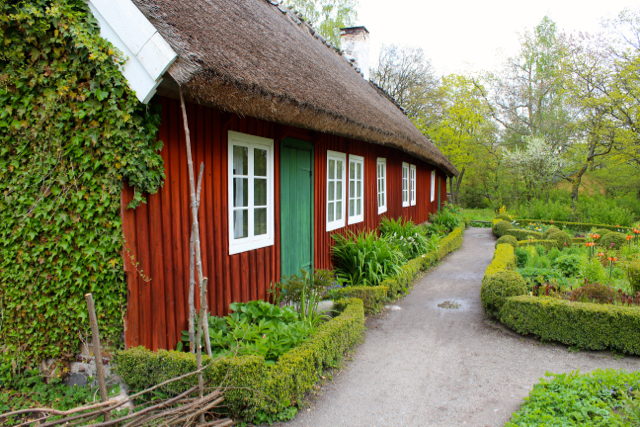 It has about 150 preserved houses and building moved from all over Sweden, many of the museum staff are in period attire and help give a great insight of how Swedes used to live. It is huge and you could easily spend all day here. We learnt about Swedish wildlife, folk traditions and sampled local food. Find out more. On Djurgården is a museum dedicated to a massive fail! 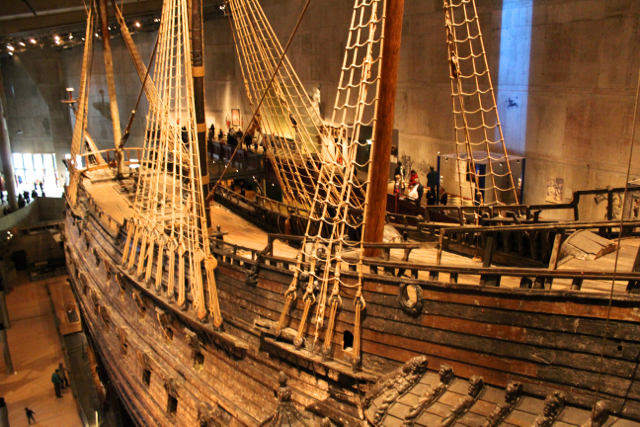 The Vassmuseet is the home of the 17th century warship the Vasa. The Vasa was the flagship of the Swedish navy, but within minutes of setting off on its maiden voyage in 1682 the top heavy ship sank. Preseverd by the cold Baltic waters the ship was salvaged in the 1950s and moved to the custom designed Vassmuseet in the 1980s and is brilliantly exhibited. 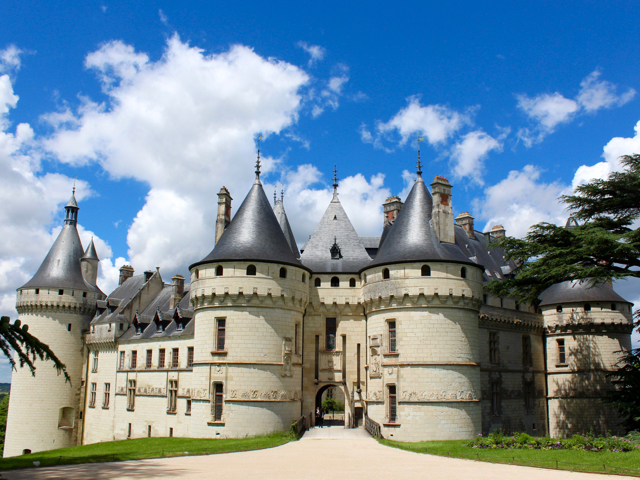 Well worth a visit. Find out more. 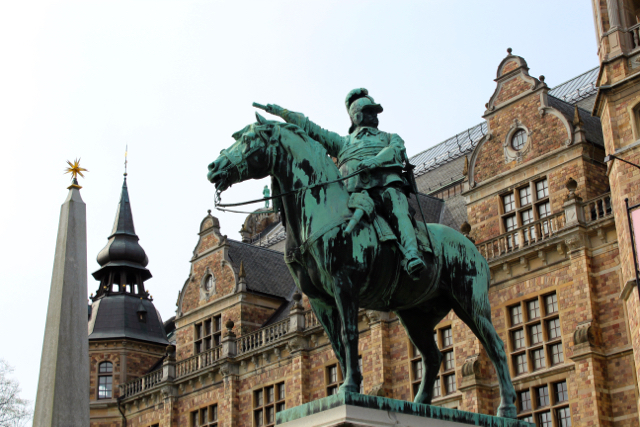 Also on Djurgården, not far from the Vassmuseet, is the Nordiska Museet a large cultural history museum. 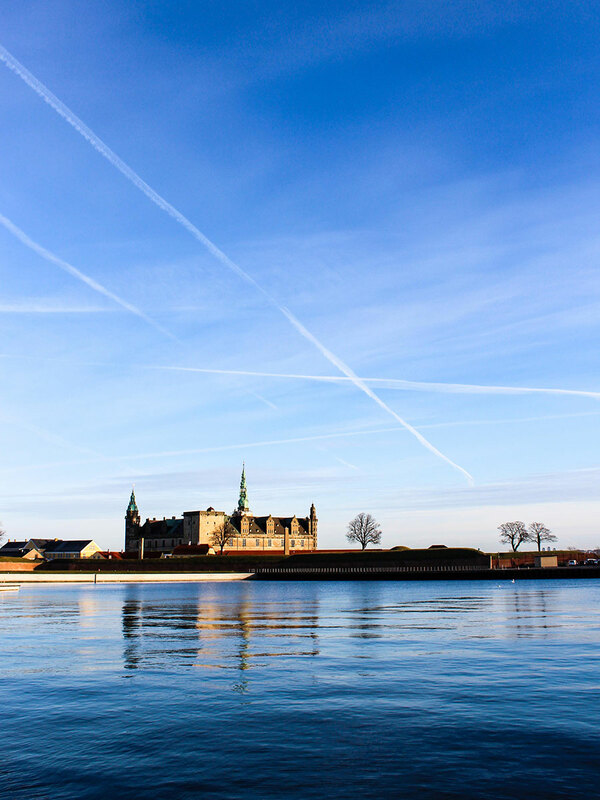 It is housed in an impressive building, a pastiche of a Scandinavian castle, and has huge collection of things Swedish. We love a museum anyway, but this really helps you understand the country’s culture. We loved finding out all about Swedish traditions, and the exhibition about Sami life in Sweden. Find out more. 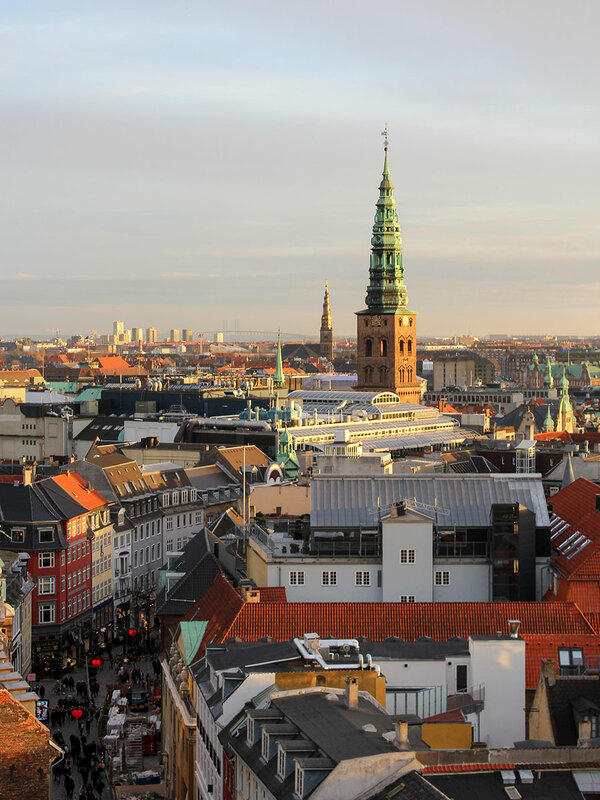 You’d be hard pressed to miss the Royal Palace (Kungliga Slottet) on Gamla Stan, it is one of the largest royal palaces in world. Although it is no longer the King’s actual residence it is still the official home of the Swedish monarchy, and hosts most of the official functions and court department. A wander around is very interesting. Also make sure you check out the royal regalia in The Treasury and Armoury. Find out more. We loved Drottningholm! 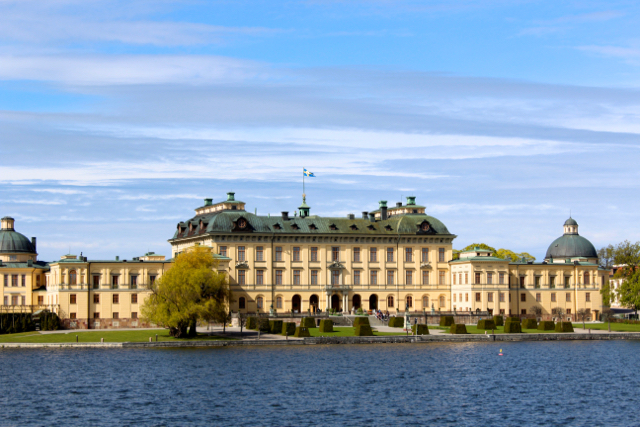 This is 17th Centaury palace on the outskirts of Stockholm is the royal family’s residence. 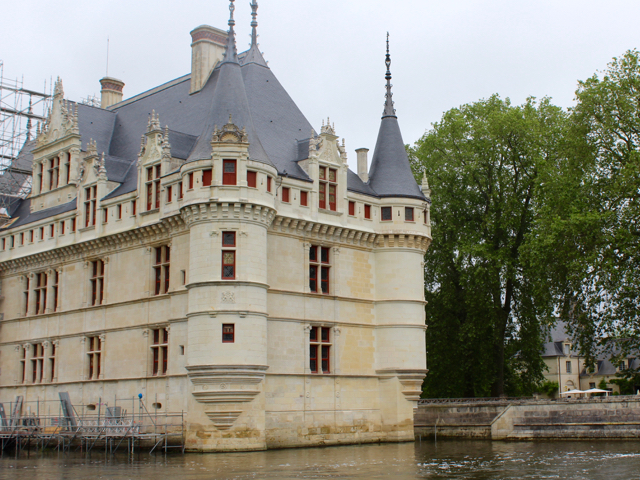 It is UNESCO protected and well worth the boat trip out to have a look around. The boat takes about an hour and leaves from near the City hall. 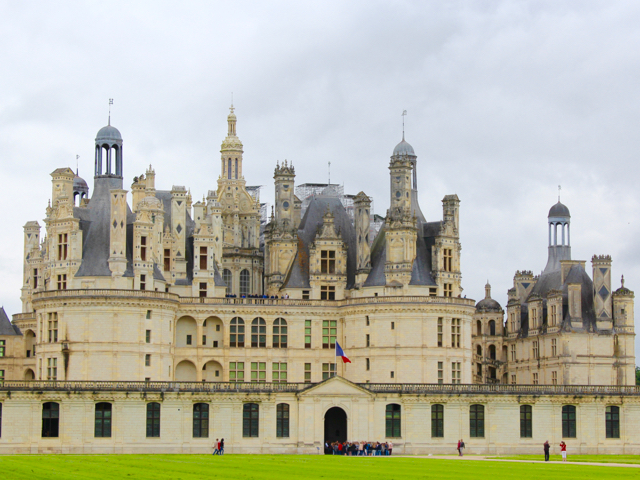 It is a gorgeous trip in itself but when the palace comes into view it is something else. As well as looking around the beautiful rooms in the palace we has a tour around the Court Theatre, built in 1766 it has remained almost untouched since 1792, making it the Oldest theatre in the world still in its original state. The palace grounds are particularly lovely to walk around, and the Chinese Pavilion, an 18th Century ‘summer palace’ in the ground is gorgeous highlight with its rococo interiors with chinoiserie. Find out more. 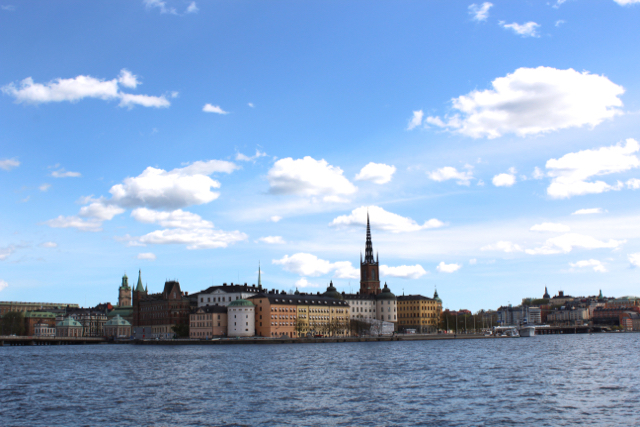 Stockholm is built on 14 island, so water is everywhere! This makes a boat trip one of the best ways to see the city. There are plenty of tours to choose from, we did the Royal Canal tour. Find out more. When in Sweden eh? Situated on the southern island of Södermalm (cool area, worth a visit) Meatballs for the People was a great find! A casual place for meatballs and a beer, we were very happy travellers! A large bar on a terrace overlooking Gamla Stan and Djurgården. Mossebacke is a bit run down, but the views more than make up it! Head here for a beer at sunset. Near out hotel we found Taverna Brillo, it bills itself as ‘an Italian brasserie in a Swedish form’. In Östermalm there are lots of lovely restaurants to choose from, but we chose here as it was the Dining Room right combination of formal and casual for Richard’s Birthday meal. 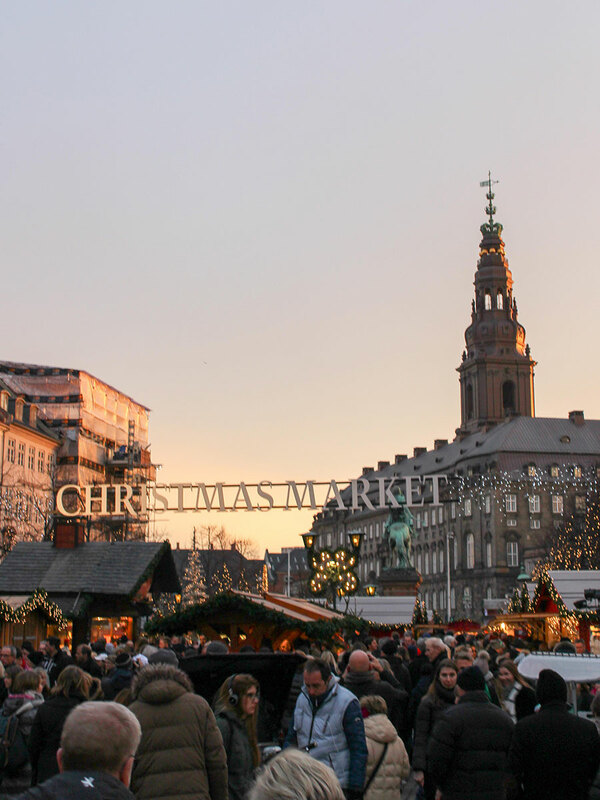 It also has a food market and a separate bar. Burgers are probably the hipster’s food of choice, so in a city as cool as Stockholm it seemed a good idea to join the locals and head to a burger joint. Flippin’ Burgers has some of the best in the city, and it is well worth the queue to get in. 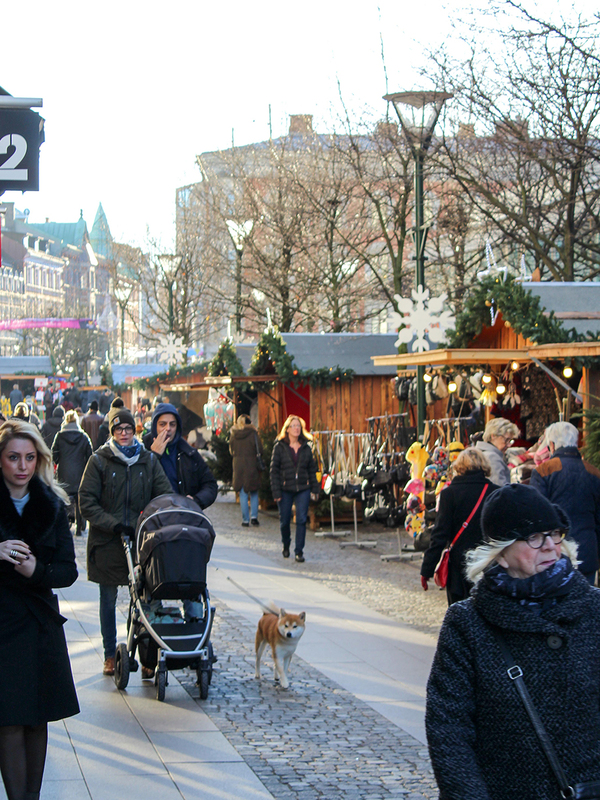 There were lots of other cool things about Stockholm. 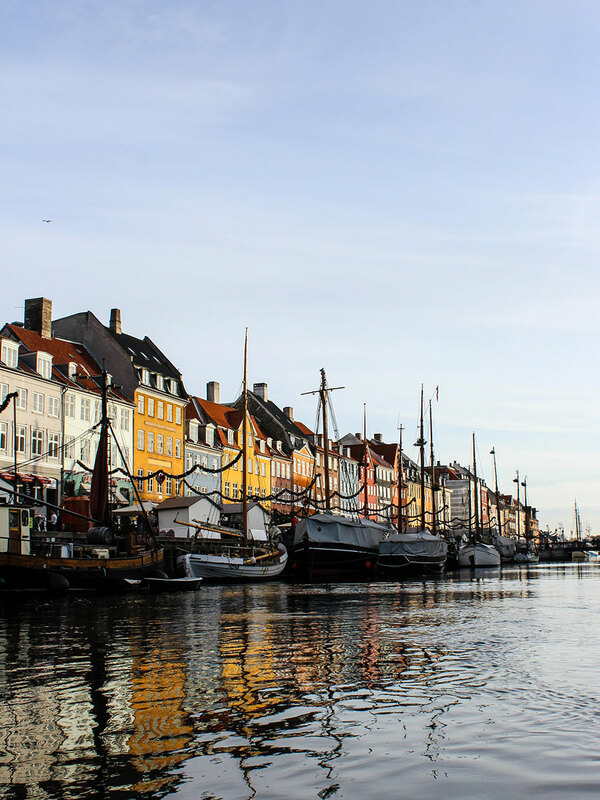 The fashionable shops, the great food, the cafes, the Princess Cake (delicious! 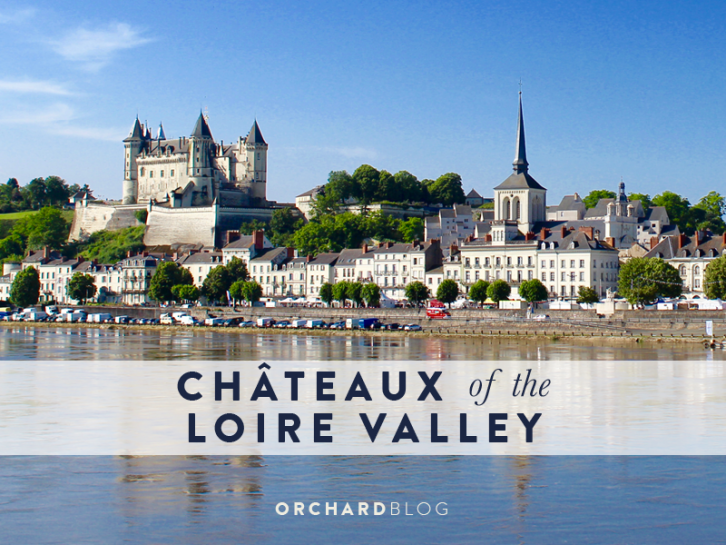 ), the cool locals – this list could go on and on. 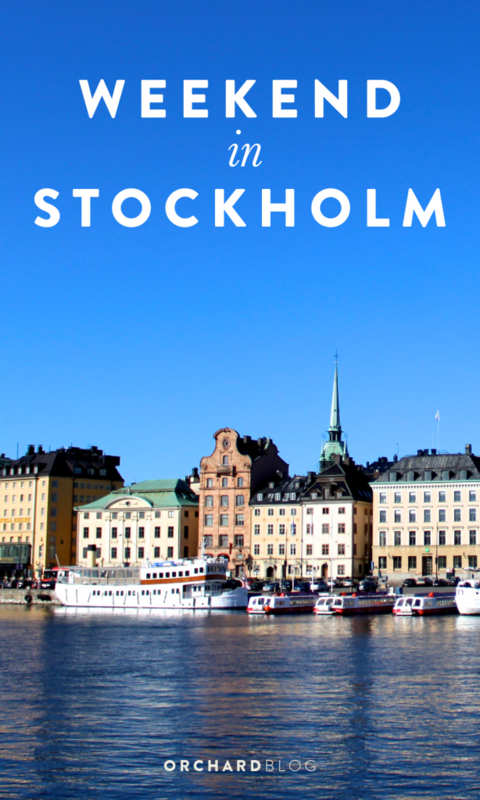 We loved our 4 days in Stockholm and will definitely be heading back! 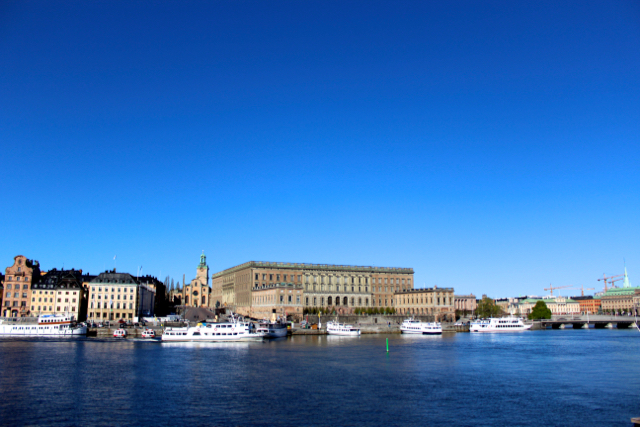 Have you been to Stockholm, what were your highlights we’d love to know?